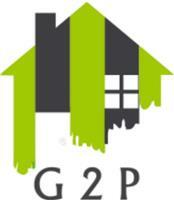 Glos 2 Perfection - Home Improvements, Painter/Decorator based in Tuffley, Gloucestershire. Hi there, my name is Richard Earby. Glos 2 Perfection has been trading for over 11 years but I personally have over 20 years’ experience in the building trade. I am a sole trader and undertake all types of decorating, I am fully insured to also undertake any general property maintenance and repair work. Painting & Decorating, Internal & External, Domestic & Commercial. Full Property Maintenance / Repairs / Refurbishment. Gutter cleaning service with Sky Vac Atom. Property / Garden Clearance / Maintenance. Garden Fence Panel / Decking Spraying. Throughout my time in the Building Trade I have made numerous contacts. I don’t sub-contract the work out; however I will be able to recommend other traders. This enables you to fulfil all your property maintenance needs. I work to the finest of details and make sure I treat every job as if it were my own property, completing any job to the highest standard, no matter the size of task. Please don't hesitate to contact me, including weekends, by telephone or email, for your free estimate or advice and I promise to get back to you in a timely fashion. Bath, Birmingham, Bridgend, Bristol, Cardiff, Cheltenham, Chepstow, Cirencester, Evesham, Forest of Dean, Gloucester, Gloucestershire, Oxford, Stonehouse, Stroud, Swansea, Swindon, Worcester.